GTDT's Digital Champions were out in force to provide support to local business people who were taking up the offer of a free Online Health Check from the experts at the Google Juice Bar. 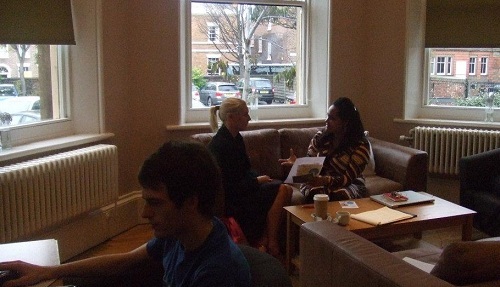 The Juice Bar stopped off at Blackburne House on the 2, 3 and 4 November and our Digital Champions were on hand to ensure that local business people got the most out of their time with the Google experts. Over 8 million people in the UK don't make use of the internet and are 'digitally excluded' - and many of these people live in disadvantages neighbourhoods. Digital Champions work within the community to encourage people to get online and make better use of the internet. This is part of the Race Online 2012 initiative led by Martha Lane Fox and supported by UK online Centres Go ON campaign.